Camera Filters - Do We Need Them on Our Lens? In this video we take a look at various camera filters and whether you actually need them. There are many kinds of filters in photography from those we put in front of our lens to software effects in Photoshop and filters on Instagram. They all in some way manipulate our images so accusations of 'cheating' from purists about filters added in post-production I find tiresome. Here we look at the most popular physical filters, talk about how they are used, whether they are needed and discuss any software alternatives. These are probably the most common type of camera filters and screw to the front of your lens. They claim to block out UV light that can be detrimental to your image. The truth is they are a relic of the film era where film was susceptible to UV light and caused your image to appear hazy. Digital sensors on the other hand do not suffer this problem so the filter may only serve to worsen your image through a slight reduction in contrast. The main reason they are still used however is to protect the expensive piece of glass it is attached too. This is really a personal choice so if they bring you piece of mind, go ahead and use them. It is possible that ND Grads and filter systems such as those from Lee and Cokin were designed purely to give landscape photographers a sense of superiority and smugness that would intimidate other photographers into never taking another landscape shot again. In reality they are used to balance the exposure between the sky and the rest of an image as the sky is generally much brighter than the ground. The difference is usually anywhere up to around 2 stops. There are hard gradient versions and soft gradient versions and which one you use will depend on how defined your horizon line is. Whilst the effect these camera filters produce is essential in the majority of landscape photographs, the physical filters themselves are not. They are generally large, clunky and difficult to use along with being expensive. Although you can attach them to different lenses with an adapter, they do not scream versatility and ease of use. With the ever increasing dynamic range of modern cameras it is rendering ND grad filters pointless. The effect can be added very quickly in Lightroom bringing out all the detail of a bright sky or darkened foreground as a long as you shoot in RAW. Neutral density camera filters are used to reduce the amount of light coming into the camera by allowing us to use a longer exposure time, or a wider aperture, where otherwise it would be over exposed. ND's are used in video to allow large apertures in very bright conditions to ensure you still get a nice blurred background for you shot. With stills they allow us to use long exposures to smooth out water or show movement in the image. They vary in strength and filters like the 10 stop 'big stopper' allow for some extreme long-exposure photography. There is currently no way to imitate the effects of these filters in software so they remain vital in many photographers camera bags. See how to shoot long exposure landscape photography. 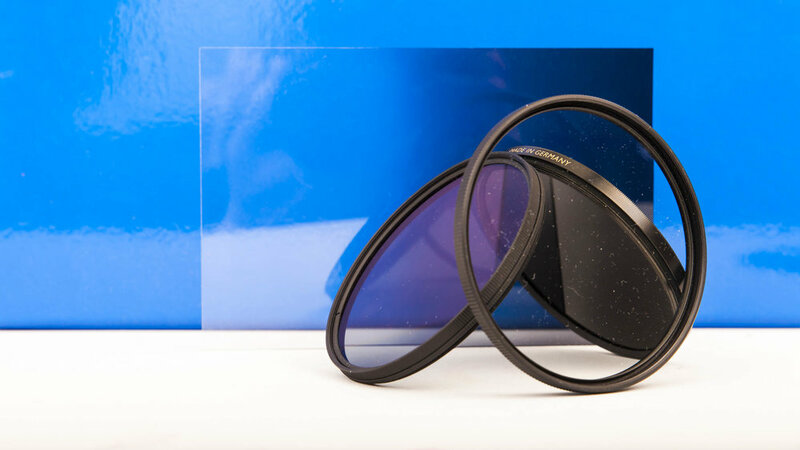 Circular polarisers are used to darken and saturate skies and remove harsh glare from water. It does this using science that you can read about elsewhere but the intensity of the effect can be controlled by rotating the filter. It is a pleasing effect that is not easily added in post-production so remains useful in certain conditions. If there is no blue sky and no reflections or glare then it will serve no purpose other than reducing your exposure by about 1 stop. Many of these filters can be combined and screwed together to achieve several of the effects in one shot. Just be careful when using extremely wide angles though as the camera might 'see' the edge of the filters creating a very harsh vignette in your image. Filters can be an expensive addition to you camera bag. Before buying, decide what type of effect you want to achieve and tailor your purchase to this. Personally I shoot a lot of long exposures so ND filters spend a lot of time on my camera. I use circular polarisers now and again and increasingly leave the ND grad system and UV filters at home.